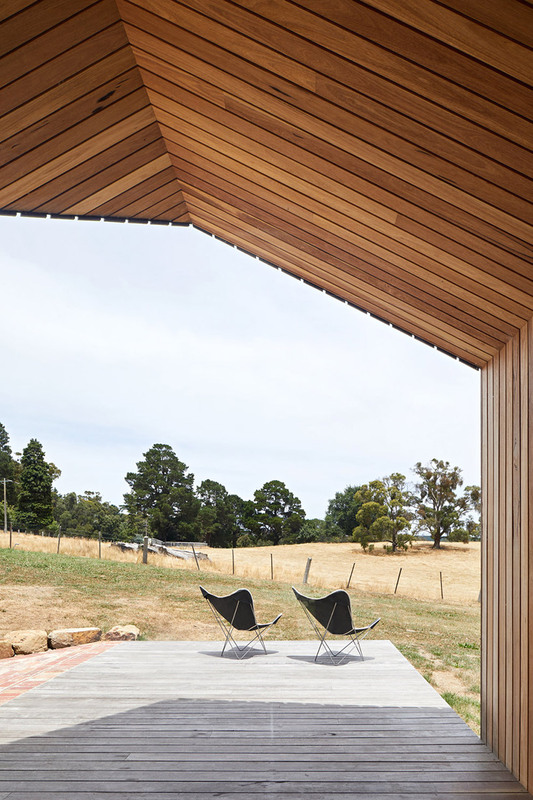 inspired by the shape of the sheds that inhabit the local area, the limerick house by solomon troup architects is an addition to an existing building in eganstown, victoria, australia. 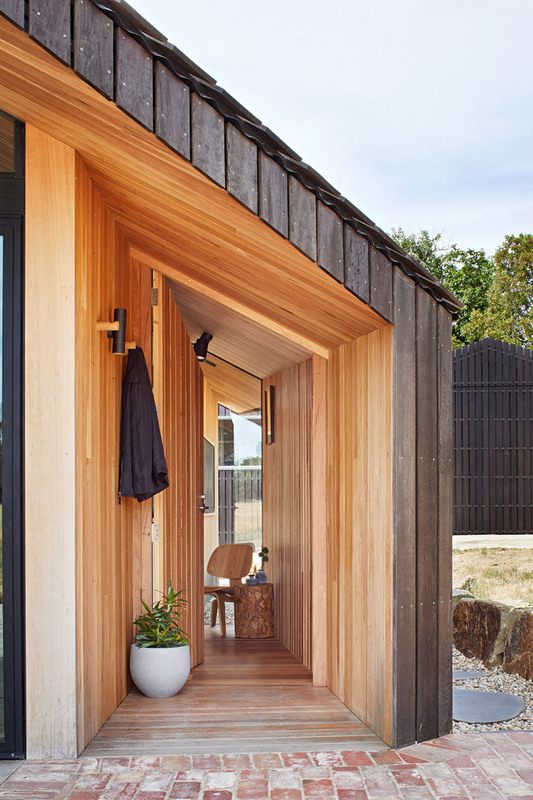 clad in black spotted gum decking boards, the exterior mimics the surrounding, while the interior maintains a modern style with all the necessary facilities. 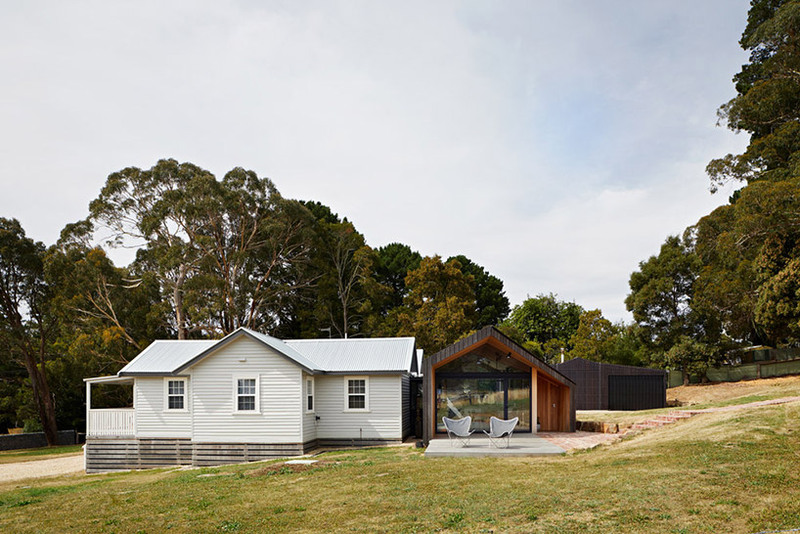 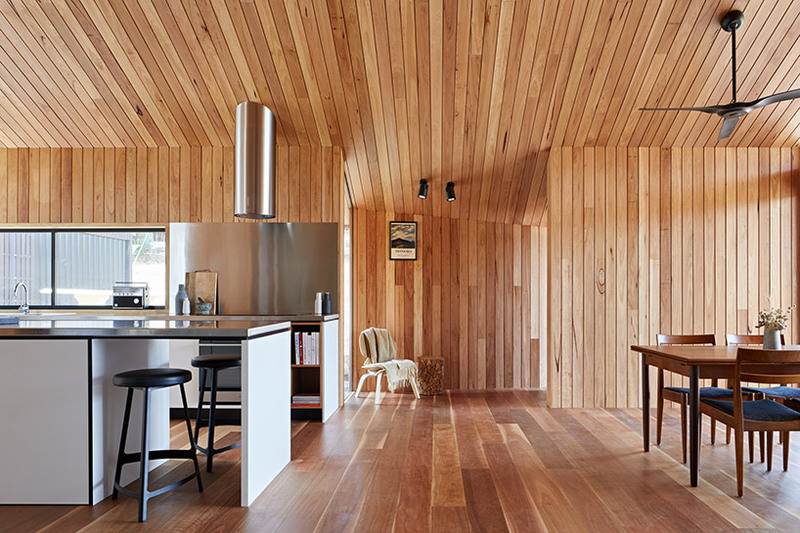 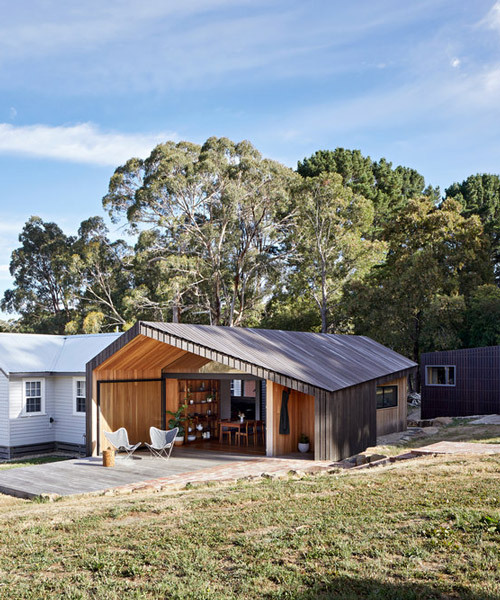 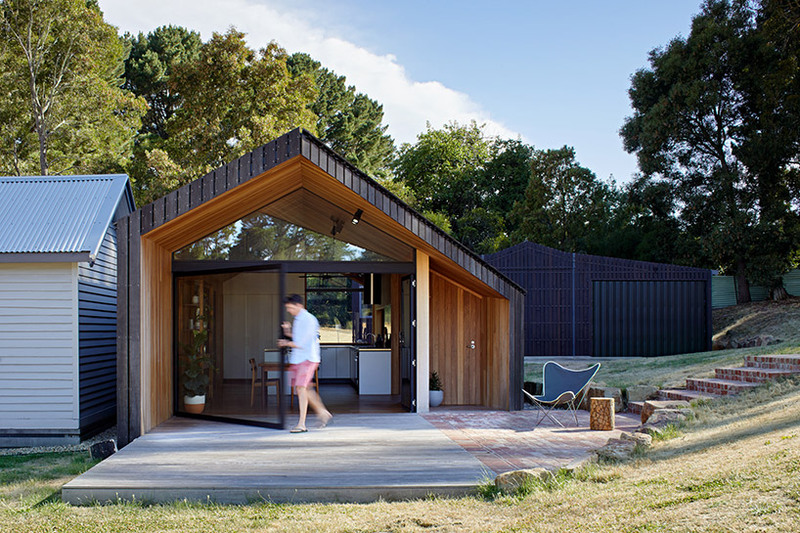 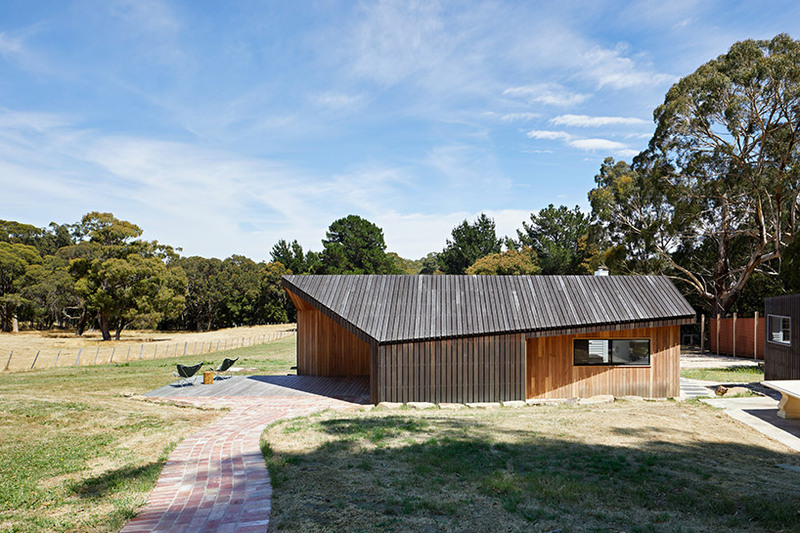 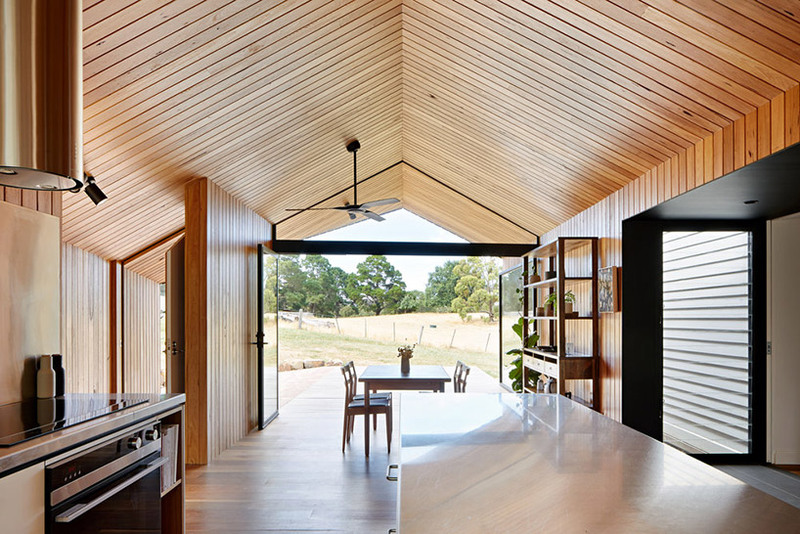 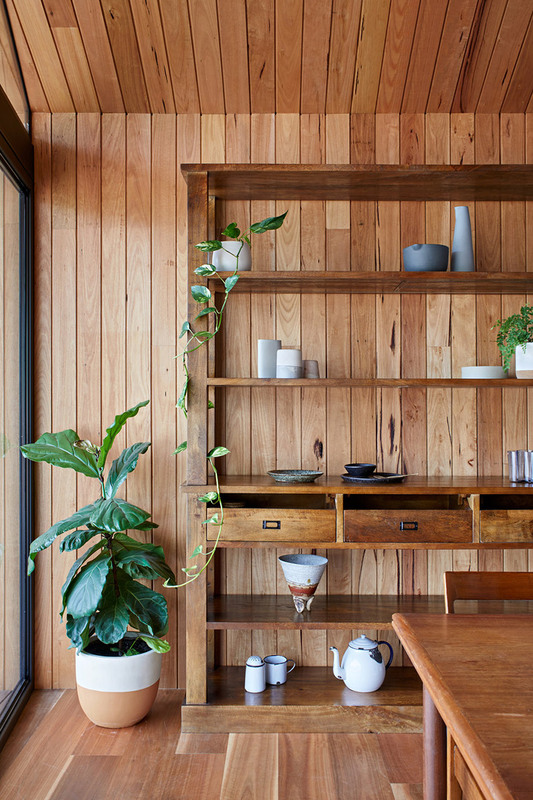 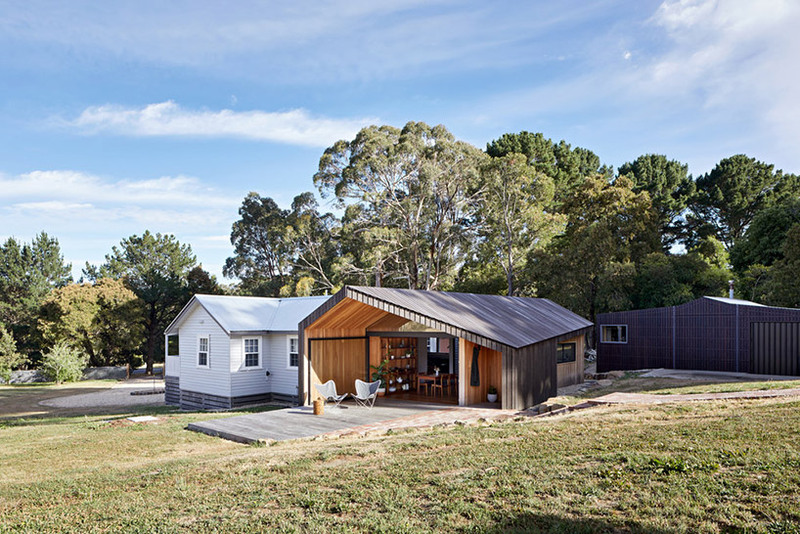 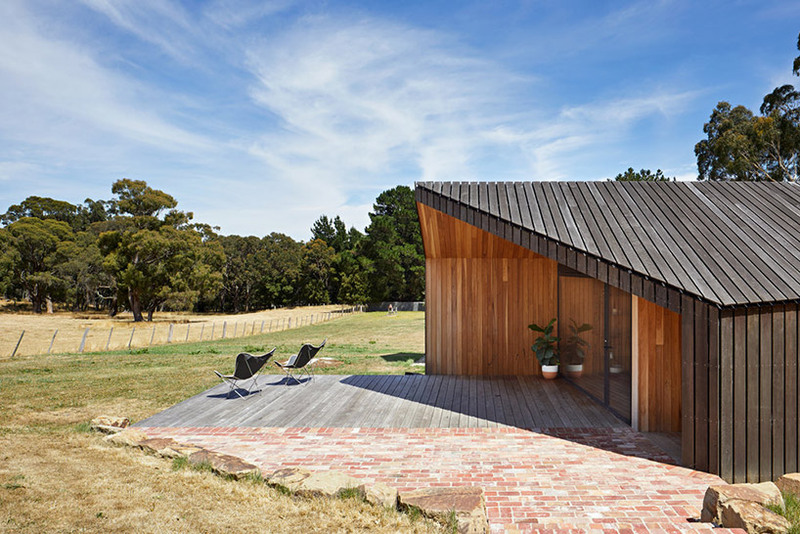 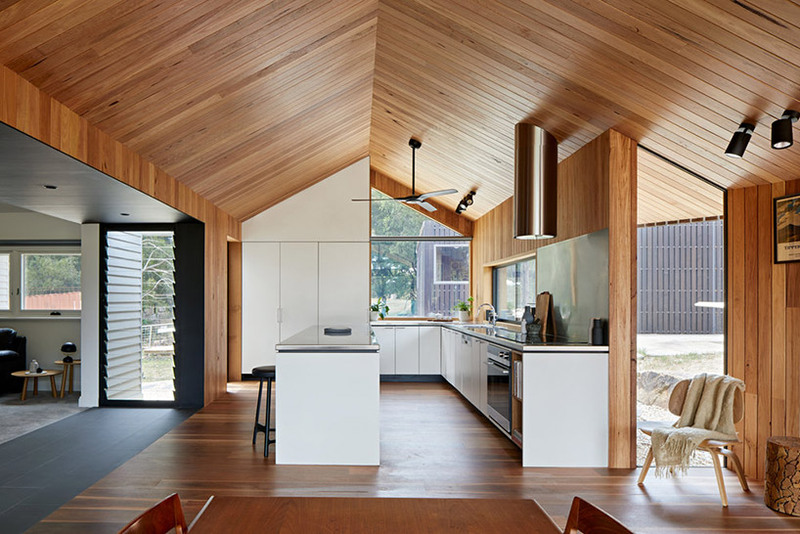 solomon troup architects has used light wood inside the house to contrast the shed-like external image of the building. 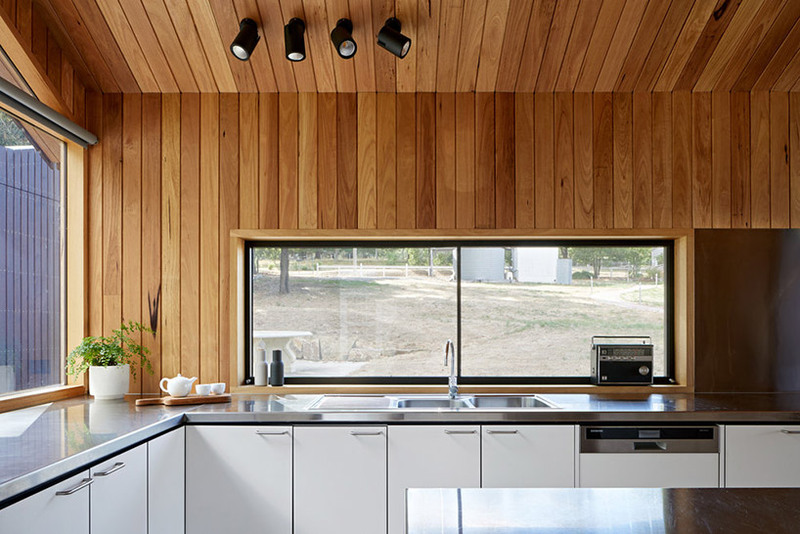 the setting, together with the view of australian hills, create a warm atmosphere of an isolated gataway. 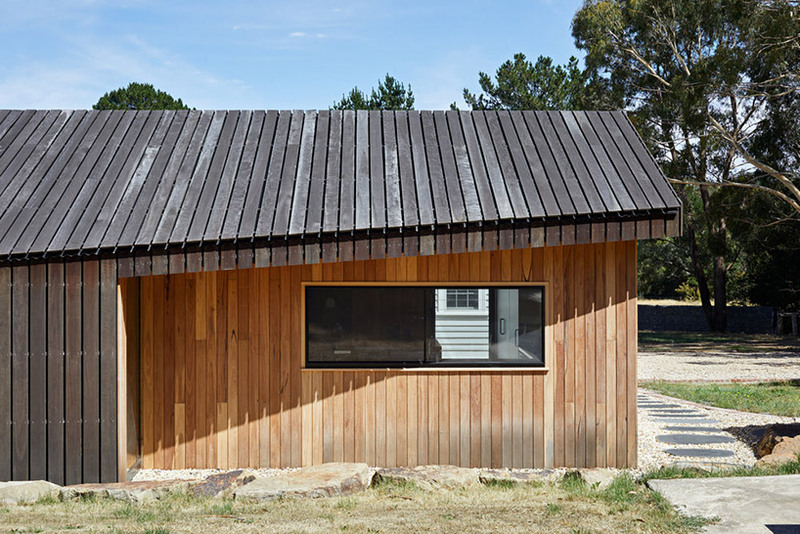 to match the existing building, the addition featurea a puitched roof, meanwhile the slopes are not equal, which makes the shapes original. 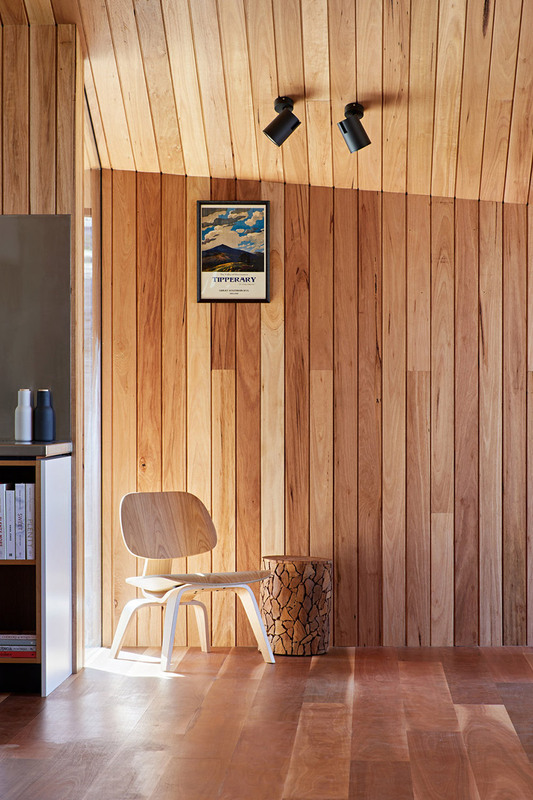 Finish the job – tear down the other house. 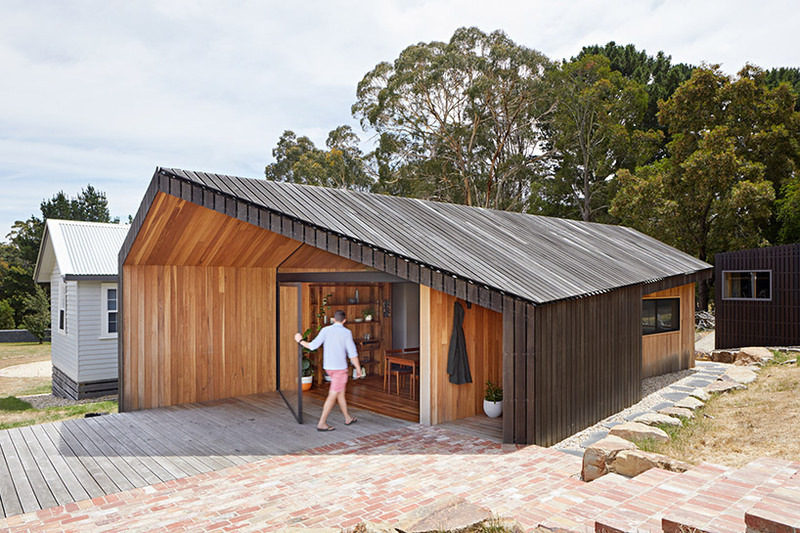 What a wonderfully graceful way to make a simple roof thats inclusive of an entry and so thoughtfully efficient!.